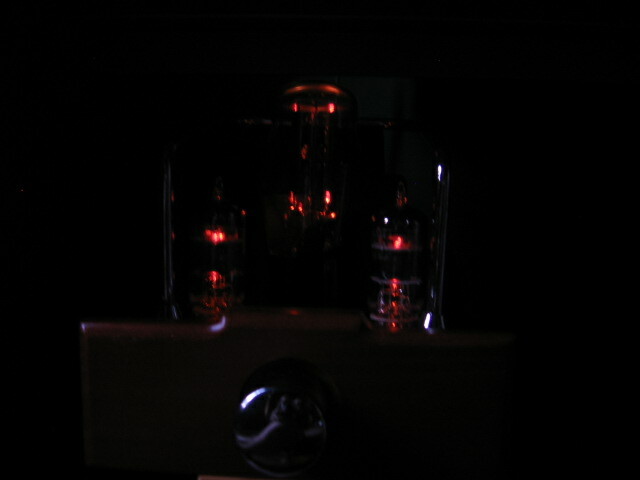 George if you are using the 5965's it could be the tubes. For some reason the longer plate tubes tend to be slightly microphonic even though the construction is such that they should be more rugged. Try a regular pair of 12AT7's/ECC81's (with smaller plates) and see if it still happens. I admit George the 5965's can be a little troublesome, but because they sound so sweet I just use tube dampers and try not to "rap" on the chassis. The TFK 5965's do the same thing and I've had some 7062's do the same thing. All minor, but puzzling. The Raytheon 6414 3-mica black plates don't have the issue. All the above are long plate versions similar to each other construction-wise. The only long plate tube I can't use becasuse the microphonics can't be tamed are the GE 5 Star 6829 3-mica. Still trying to figure a way to use those. Thanks for the kind words--I'm just an amateur--folks like F1,Scomp, and Face are the big dogs. Oops-- and FGTV--these guys know electronics/speakers,,I just try to follow their lead/advice. Atleast you know where you stand, that's half the battle. Hey George, how's the little Dared performing these days now that you have put some hours on the caps? Just curious if you are still as enamoured with it now as you were when you got it. I might just hit you up for more tubes sir,,tell you the truth,I have not listened to it for awhile--I'll get my ears on it this weekend,,it will be going to PF with me. George, how does the Dared compared to the wright? Man,, good question,,,I've had to think about this one--the Dared is quicker than the Wright,,given the difference in tubes--I'd say the Wright has a wee tad more bloom,but not by much,,and that is based upon tube preference and the fact that I have nor done too much rolling in the Dared yet--really a very close call between the two,,of course,,that's just my rookie opinion. I'll add my .02c, the Dared is very tube rolling friendly. 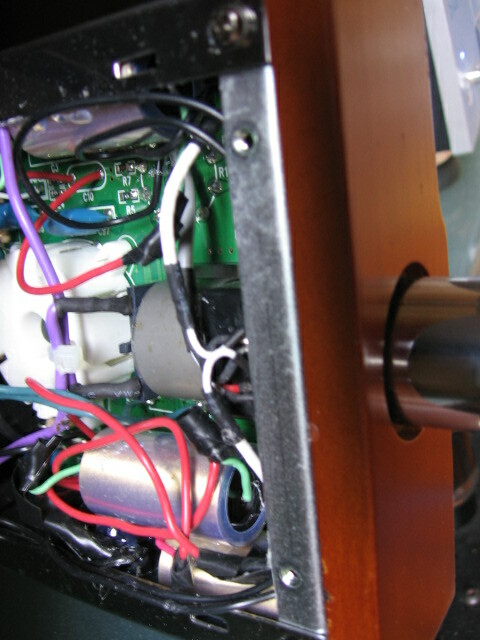 I am amazed at the subtle differences I notice depending on what tube and rectifier combo I'm using. Thanks George, I will be watching with great interest. First of all,,a little entertainment--I was fortunate and got to see him and this band just recently,,here's a ten and a half minute taste. 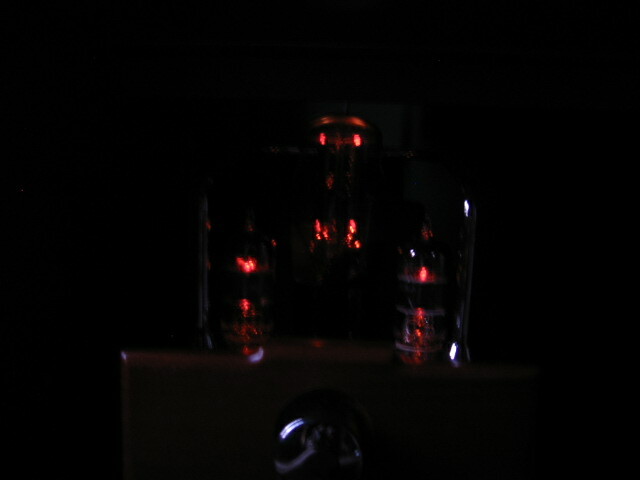 Lets start with tubes. Currently running a Bendix 6106 rectifier and a pair of Sylvania 5965's I'm hoping that Brock,KiekoFGTV and others will chime in,as they have far more experience with tube rolling/schematics in this unit.I have the schematic's and can e-mail them to anyone who needs a set.First and foremost,this thread should be fun,and tube rolling is the easiest,but can get expensive.In the pic's you'll see where I remover the input caps,and replaced them with .22 400 volt Russian PIO(wrapped in black tape-IIRC the case is conductive)They are too big for the board,so I mounted them on the inside chassis,and ran wire from the board to the caps.I think a good cap in this position would be an Auricap and/or Sonicap and a good vintage PIO. One thing that I noticed,,the Sylvania plates are offset. Does the Dared SL-2000A have 4 .22uf caps? What is your take on Mundorf Supreme or Silver in Oil as replacement caps? The sound of the Dared SL-2000A with the stock caps is already awesome, just by changing the stock tubes. I wonder if upgrading the caps would make much difference still. You would have to mount the Mundorf's "outside" the unit as there is not much real estate inside.Obligatto's or Auricaps play nice with the unit,,and tube rolling in a stock unit will get you 90% of the way. Thanks George. Are the 4 caps .22uf? Don't forget how much the rectifier adds to the sound. The stock Chinese and Sovtek aren't that great at all. A Bendix 6106 or Brimar CV1863 (5Z4G equivalent) are superb with some of the older 5Y3's being a step up from the Chinese and Sovtek rectifiers. 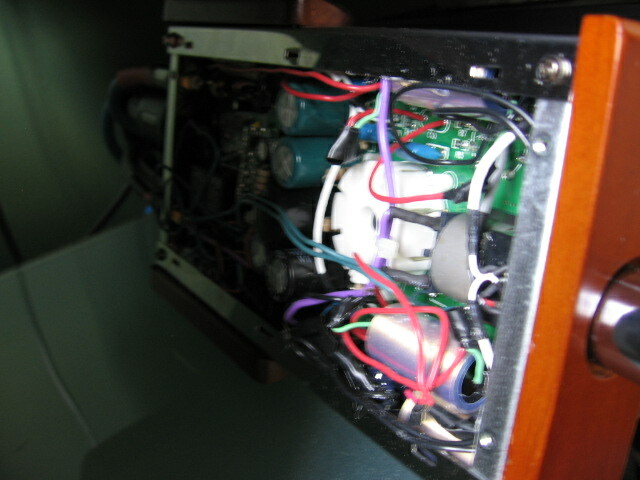 The input caps (2) are 0.22uf and the output caps are (4) 1.0uf caps. The output caps have two caps per channel in series with a feedback connection between the first and second cap. Which coupling caps are you talking about? Input or Output? George replaced both on his unit. I was thinking of possibly using (4) of these for the output coupling caps replacing the (4) square yellow Carli 1uF 400v caps. Anyone use these before, thoughts? George if you still have the old yellow caps out would you mind doing a quick measure of them physically? Both input and output caps. Might as well replace both. Oh those yellow ones are output caps. Are they the stock caps? Are they good enough? Perhaps I'll just replace the input caps since they are not Auricaps. Replace these with Mundorf Supremes. So are there two versions of this preamp?? A USA version? ?